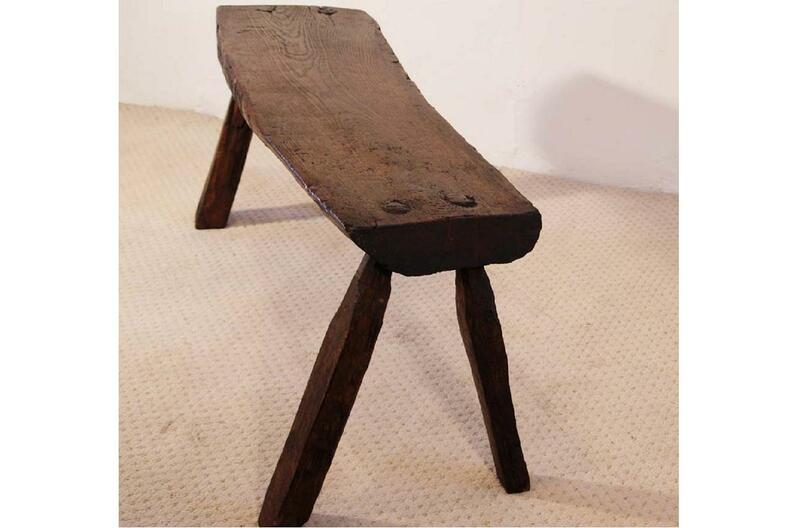 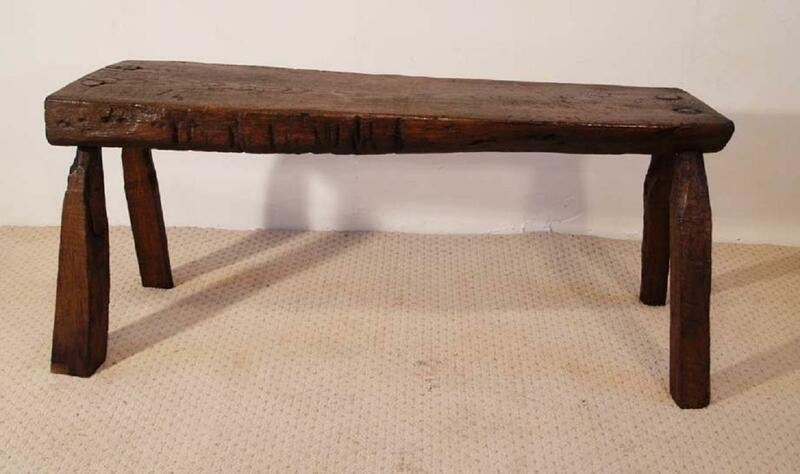 A good early rustic Welsh pig bench, C 1780, made from solid oak. 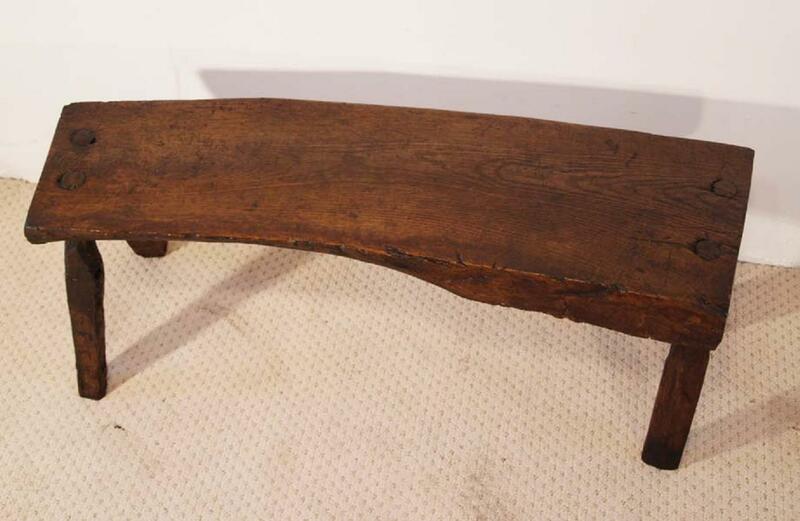 The top is 4″, 10 cm thick, hewn from a baulk of oak and has a wonderful curve and patination. 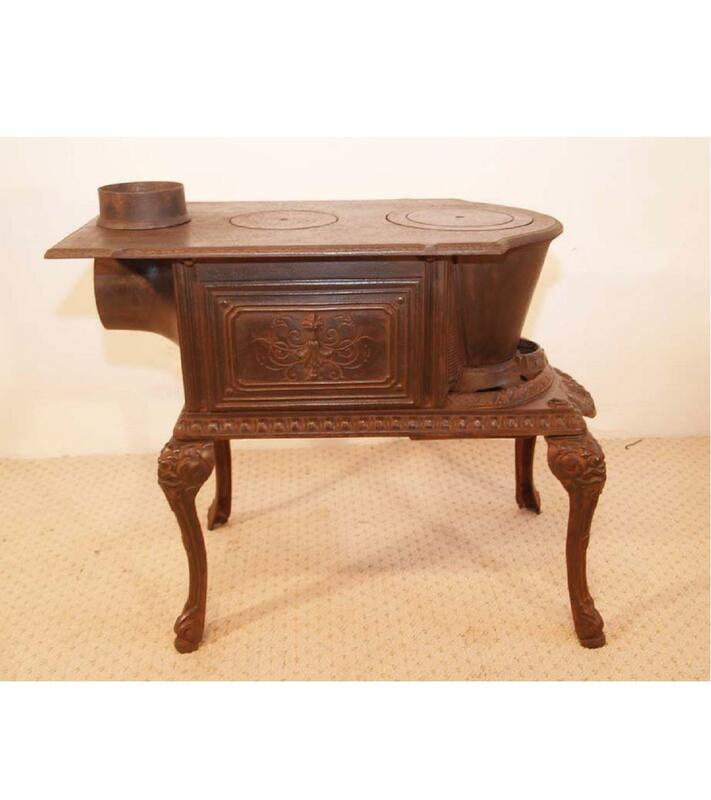 It makes for an unusual coffee or side table.